As you expand your poker skills, acquiring new strategies and learning proper gambling etiquette, here's one move to avoid making: the "slow roll". A slow roll in poker is where the player with the very best hand ("the nuts") makes a scene of calling a large final bet, adding unnecessary drama to the hand. One of the most frowned-upon moves in poker, slow rolling is likely to lose you respect and may even anger your opponents. The slow roll should not be confused with "slow play", "sandbagging" or "trapping" – three terms that refer to playing a strong hand weakly to encourage your opponent to bet. The slow roll comes at the end of the hand, when you delay showing your cards in order to taunt your opponent. For example, on the final round of betting, if one player goes all-in and shows a king-high flush, and their opponent, holding the ace-high flush, pretends to make a tough decision, this would be a seen as a slow roll. In this case, it is likely to make the all-in player think they have the best hand, making it a doubly crushing blow when the slow roller reveals that they have the nuts. Why Would Someone Slow Roll? Slow rolling is done to chastise or upset an opponent, often because the two poker players involved have some history. It may also be done, in larger or televised poker games, simply for attention - but while a slow roller may find their move amusing, other players will not. Be wary, though - a slow roll might also be done by mistake, when a player doesn't actually realise that they have as strong a hand as the bettor. In the Showdown at the Sands, “Poker Brat" Phil Hellmuth famously made a scene on international television with a tirade against poker legend T.J. Cloutier, as he thought that he had been slow rolled. Cloutier, however, genuinely had not realised that he had made his flush, and it was Hellmuth who came away looking the fool. So, while you should avoid making the move yourself, it's also wise to avoid becoming heated with players who do slow roll, as the aim of the move is to incite negative emotion. 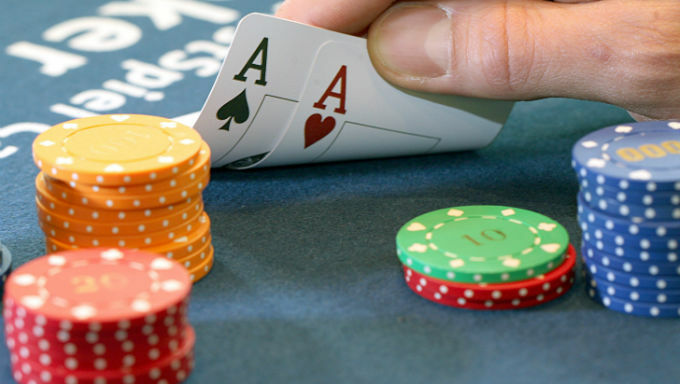 Poker and casino etiquette strongly dictates that you should not slow roll, but it is not a written rule, and you're unlikely to be thrown out of a game - or a casino - for doing it. However, it certainly won't make you any friends around the table. Slow rolling in online poker is far less easy to spot, as there are several reasons why a player might take a long time to call a bet. Distractions away from the computer, slow internet connections and playing multiple games are all possible causes for what might appear to be a slow roll. It is also less likely for there to be history between online poker players (if you're playing with the vast pool of players at Poker Stars, for instance) making slow rolling less common. Still, if you visit Winner Poker to sit down and play poker today, be sure not to slow roll - keep the game positive!